RDS team members joined City of Portsmouth Waste Management division for annual Clean the Bay Day. Recently, RDS team members participated in the 30th Annual Clean the Bay Day. 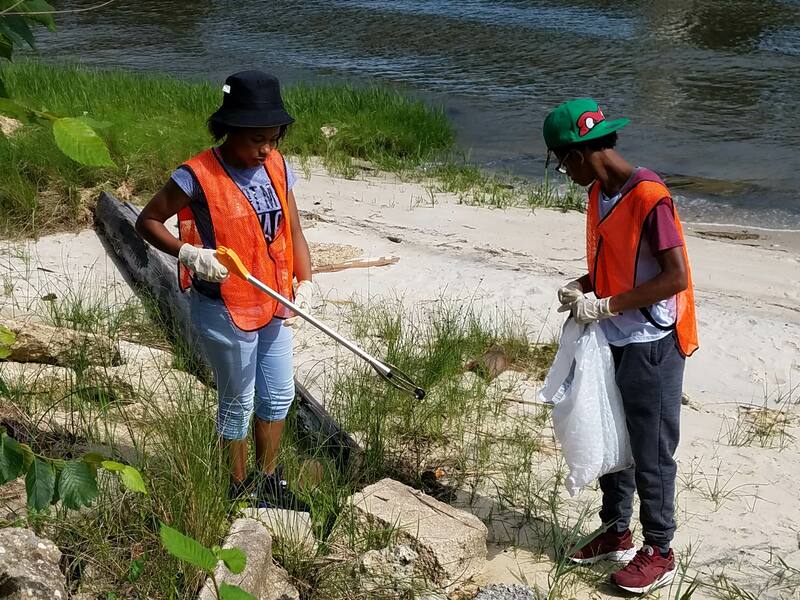 Clean the Bay Day is a day where thousands of volunteers come together to remove litter from the Chesapeake Bay rivers, streams and beaches in Virginia. 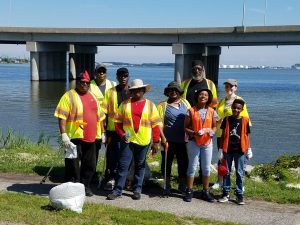 RDS joined the City of Portsmouth Waste Management Division who organized a team of volunteers and divided them into groups to cover many areas in Portsmouth. RDS employee, Sarah Dennis served as the Zone Captain for the Port Norfolk area of Portsmouth. She worked with with 13 volunteers for almost 3 hours to remove over 30 bags of trash equaling 1,150 lbs. of litter and debris from the Port Norfolk shoreline. The most common items found were plastic food wrappers, cups, bags and straws. The most unusual items found were ultrasound photos of a baby boy. The largest item found was a queen sized air mattress . Volunteers came from throughout the City of Portsmouth to help. It was truly a family affair, as the volunteers consisted of individuals and at times, entire families! In fact, Dennis’ 17 year old daughter joined her in the clean up effort. A big thank you to Clean the Bay Day organizers and to the City of Portsmouth Waste Management division for the opportunity to join in!